MyHome Mount Martha is a Carpet Cleaning System that uses the modern methods of Dry-Touch carpet washing. Our system makes use of the latest dry touch system to clean and dry the carpet in under 60 Minutes. Walking in with a dirty carpet and leaving with a clean and dry carpet has never been this easy before! 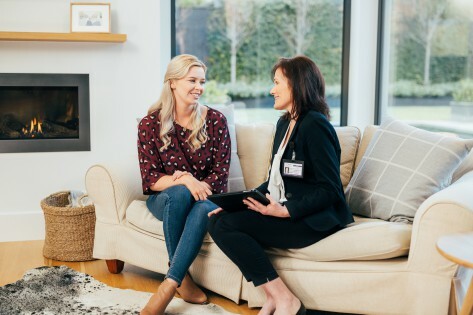 MyHome Mount Martha uses an advance Dry-Touch carpet cleaning mechanism that guarantees the quickest carpet cleaning service in just one hour. We use the high-quality cleaning agent Healthguard to remove any mould, bacteria or fungus in the carpet. We believe in keeping your carpet original and our cleaning does not damage the carpet colours or make it lose it’s natural balance. We clean the carpet carefully and use new methods ensuring that the brightness and softness of the carpet are not harmed in any way. 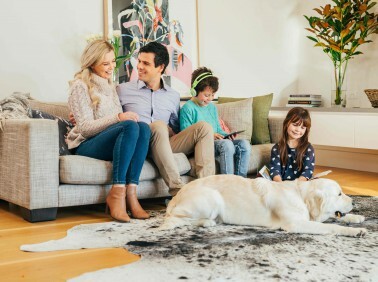 With MyHome Dry-touch carpet cleaning, there are no after-washing carpet odours common with most conventional carpet washing systems. We leave the carpet full of fragrance and softness. We use a controlled system of cleaning where we do not use excessive amounts of cleaning agent, heating, and moisture to clean. Our cleaning system is professionally managed. We guarantee no unnecessary stretches or shrinkages in the carpets. We also perform a complete vacuum of the carpet before cleaning, to ensure the best results. The vacuum cleaning is an exclusive MyHome carpet DRY-Touch value-added service. There are many reasons why People in Mount Martha prefer to install carpets in their homes. While some people like to decorate the house with carpeting, others prefer carpeting to add heat and warmth to their house. Carpets are highly appealing in presentation and are available in various designs, styles and colours. Carpet is also a good way to cover the hard flooring and protect your children or pets from floor injuries. Installing carpets helps to keep the house naturally warm and can assist with saving on your electricity bill. To keep your carpet clean, and long lasting you must ensure that you get your carpets cleaned regularly. A professional cleaning service is the best choice for this. Our affordable carpet cleaning service is a perfect solution to all your carpet cleaning and maintenance needs. MyHome Carpet Cleaning Mount Martha is the perfect cleaning service for your carpets; we will keep your carpets clean, shining and fresh. Purchasing carpet is an investment. Our cleaning service keeps your carpets intact for longer and protects your investment. It also means you don’t have to replace your carpet sooner than you would like to. Our cleaning service ensures the life of your carpet is longer. We do all this without putting your carpet through old methods of using buckets of water and ruining the shape of your carpets. We deliver the best carpet cleaning in just one hour! We offer the best services and guarantee customer satisfaction. If you are not completely satisfied, we will clean your carpet again without any extra charge. However, we believe in our services and are certain that you will be a happy customer. arpets Clean, Dry And Ready To Walk On In One Hour – Guaranteed! We clean your carpet using our unique modern techniques. The old method of using hot water cleaning can damage the carpet and leave it damp afterwards. The carpet will be dirtier in a matter of days and a damp residue attracts more dirt! If you prefer a new method that does not rely on excessive steam and hot water cleaning, you should give us a call on 13 22 31 We will discuss your requirements and provide you a free, no obligation quote.